The Bark River Scandi is a traditional style Scandinavian pattern with segmented handle spacers of Micarta and stainless steel and micarta pommel. It is constructed the same way the original knives were made with a full length tapered tang and attached with a stainless steel custom bolt to the tang that is fully recessed into the pommel. 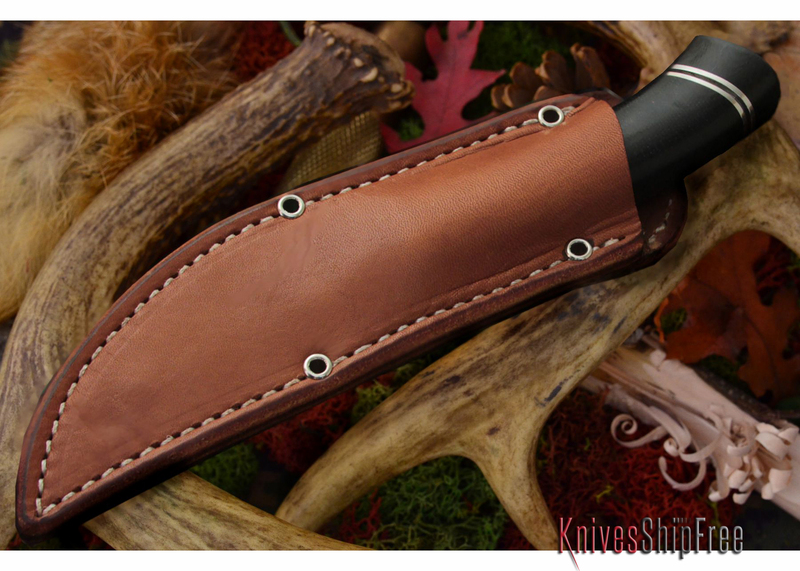 The knife is very comfortable in the hand and will easily perform woods and bushcrafting tasks. The CPM 3V steel will easily carve North American Hardwoods. This knife is a bit of a departure from the traditional Bark River designs and took over two years to develop. The unique handle design is more like a custom Scandi knife and any of the production versions that are currently on the market.